I stumbled upon Ms Chuah 蔡's pop up stand selling Teochew Kueh in front of stall 47 "Gerai Mee Ayam. 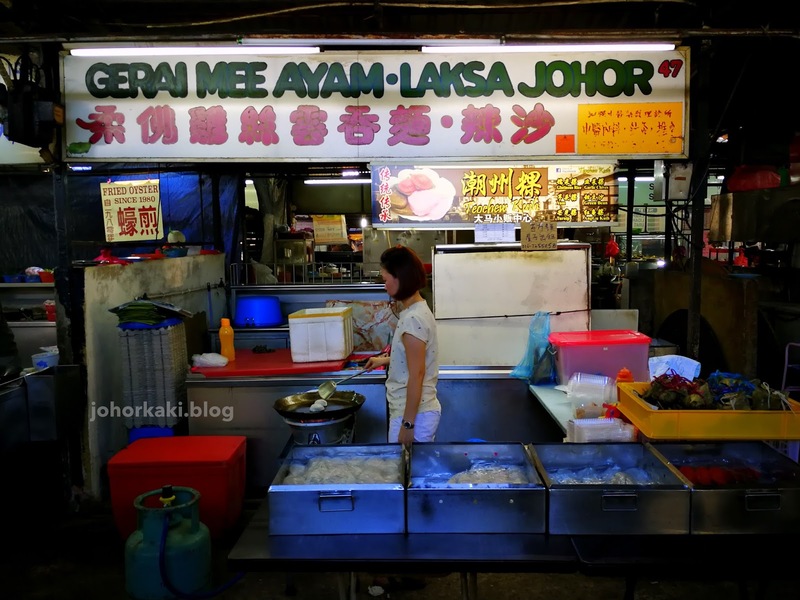 Laksa. Johor". 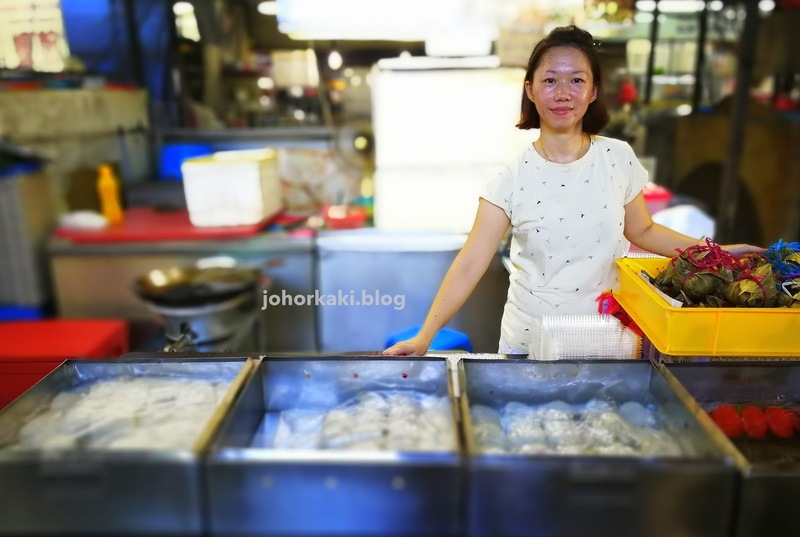 Her trays of freshly made Teochew kueh are simply laid and sold on folding tables in front of the closed stall 47. 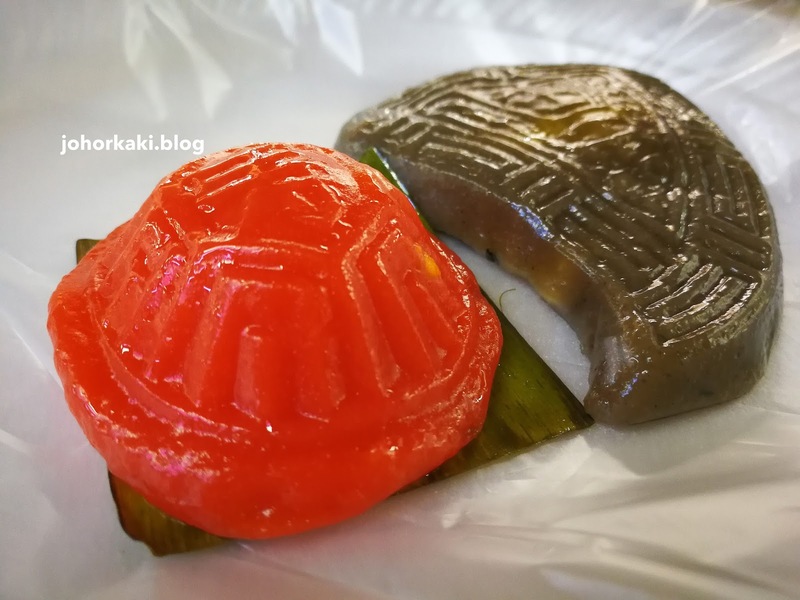 Ms Chuah has both savoury and sweet Teochew kueh which are all hand made from scratch with fresh raw ingredients by her parents. 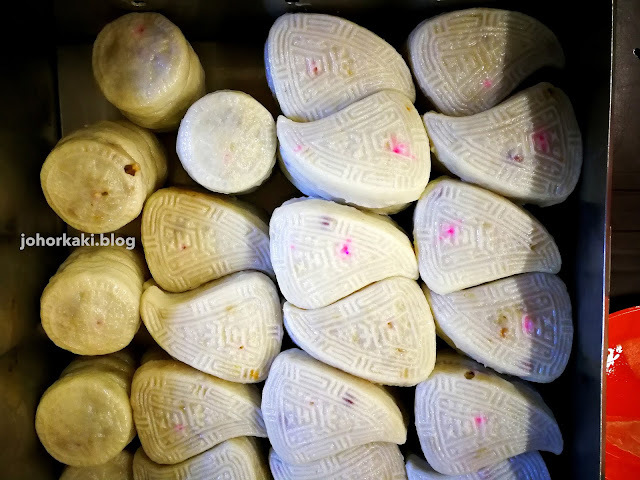 They have been hand making Teochew kueh for decades. 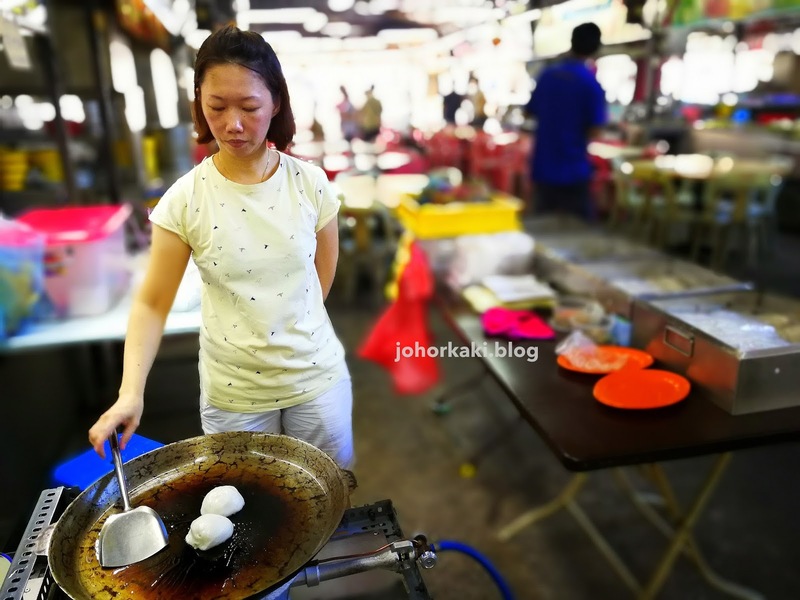 If you like, you can request Ms Chuah to give your kueh a sear on a sizzling pan for a nominal 10 sen service charge per piece. 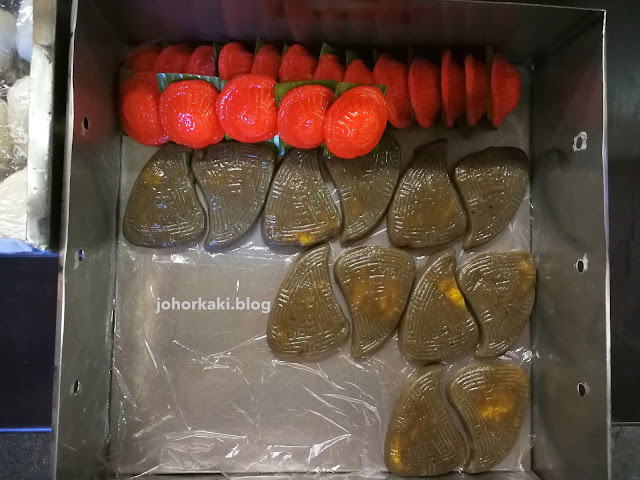 I chose a few of my favourite savouries to taste 😄 Ms Chuah gave them a slight browning. 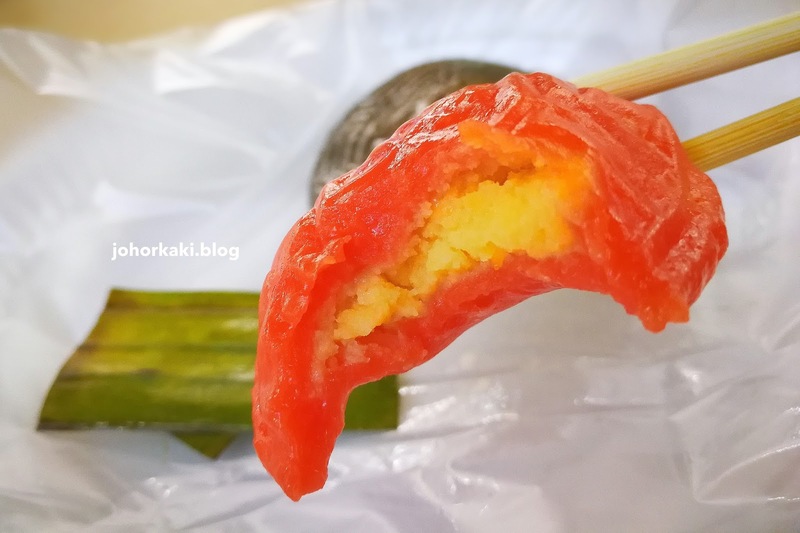 I love the moist softness and savoury-sweet taste of the soft bits of real yam in this kueh. 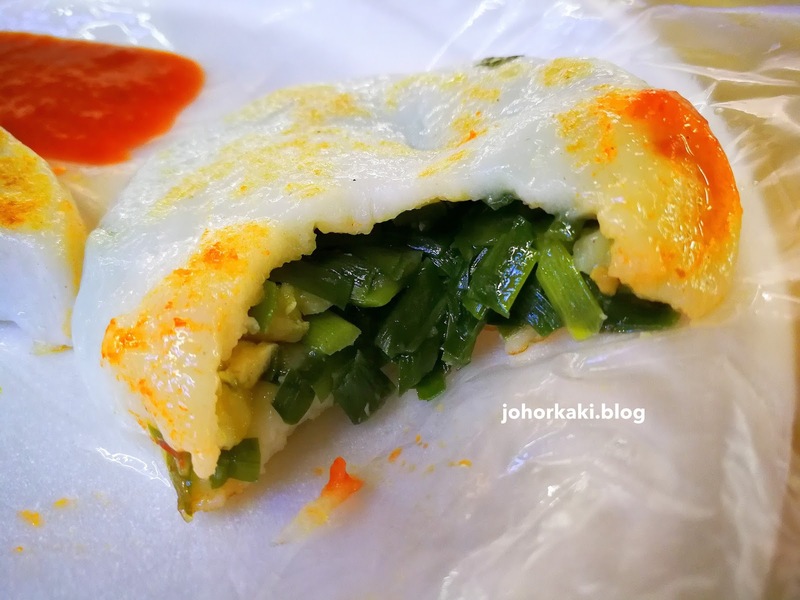 I always have chive kueh whenever it is available. 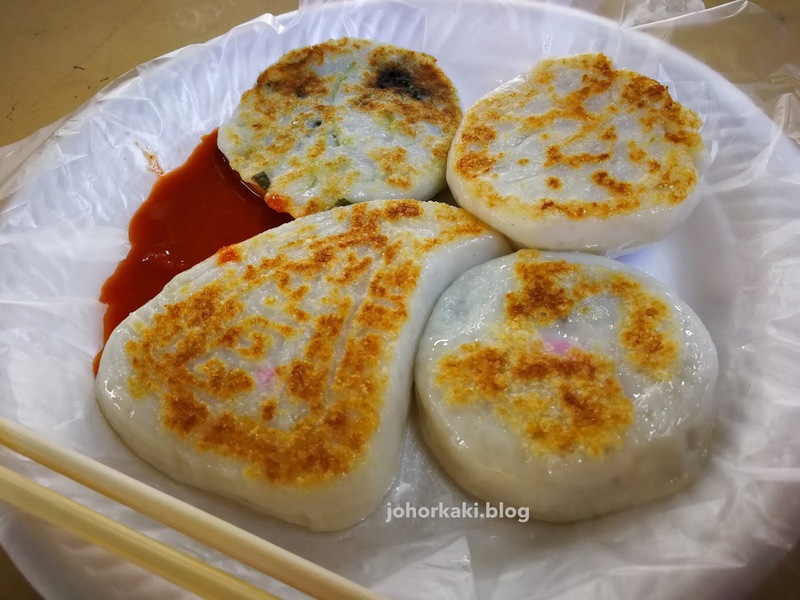 I was rather full after the savouries but couldn't resist trying a couple of sweet kueh. 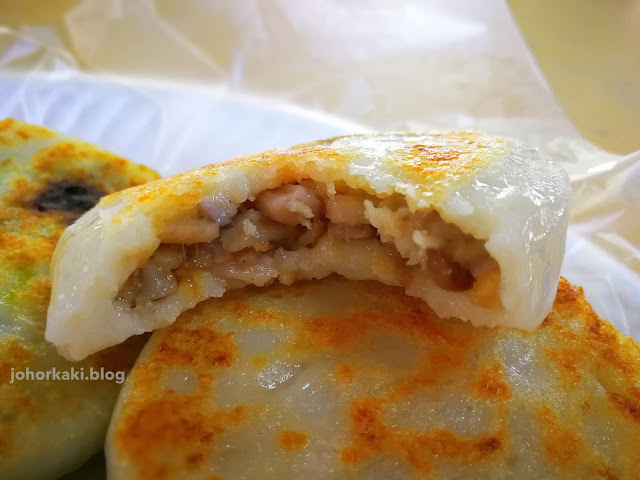 The green bean mash filling is homemade, so it is less sugary and have a nice grainy feel. 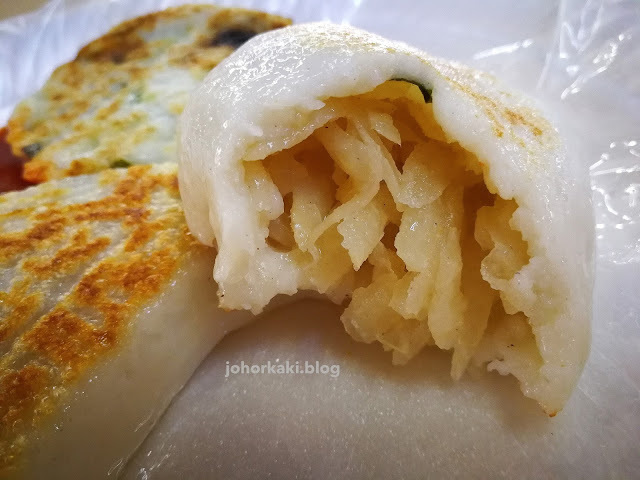 The skin is slightly thicker and stiffer than the skin of the savoury kueh (probably made with glutinous rice flour but I didn't confirm it with Ms Chuah).